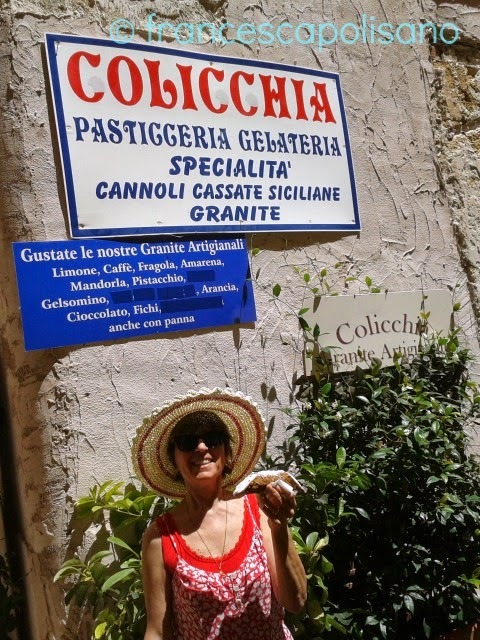 Bar Erice, where they make the biggest cannolis. 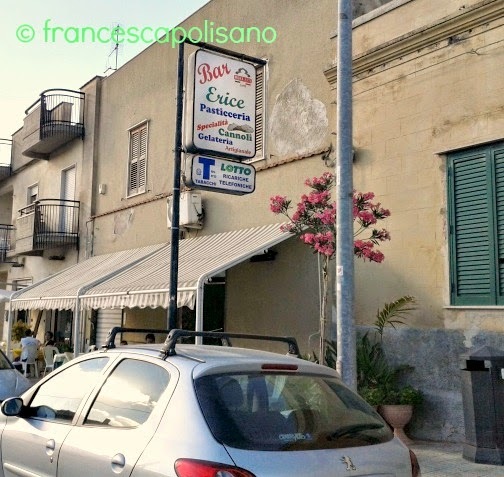 The bar is located in Napula, a little town just a few minutes drive from Trapani. 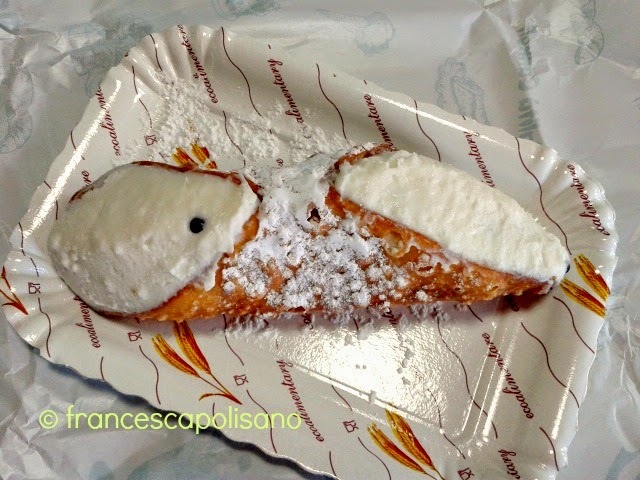 Below photo is Francesca sitting at the Bar Erice ready to eat their cannolo. 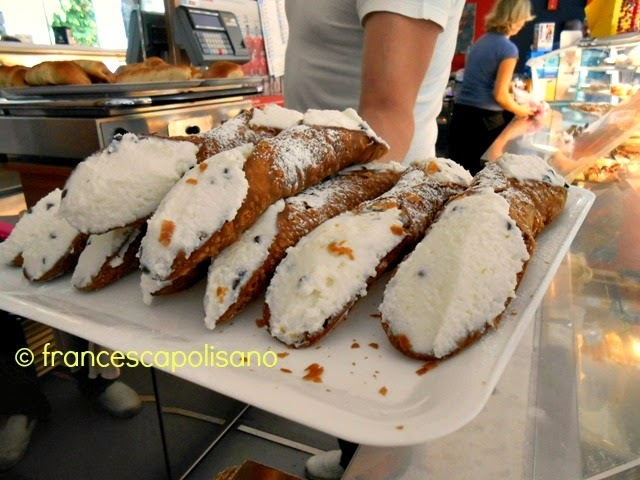 This looks like pure heaven! Look how that is filled and it looks so creamy! Oh my word!! 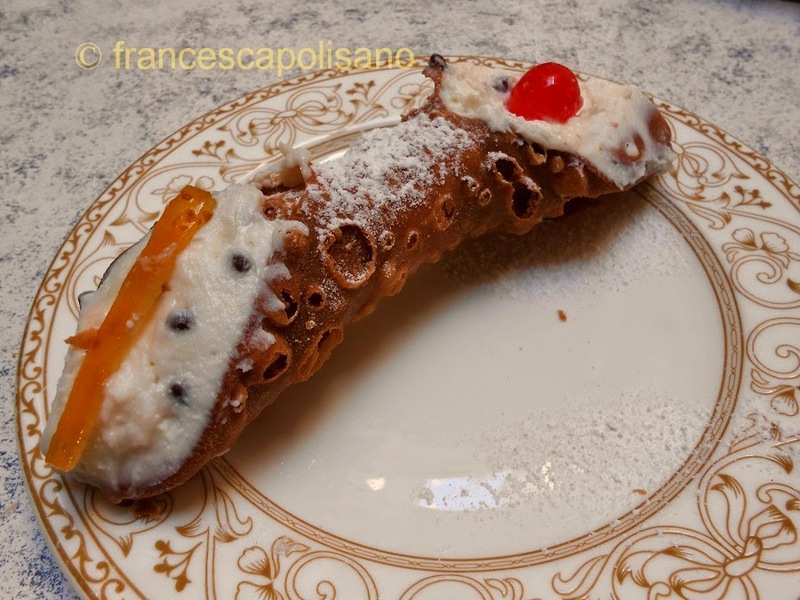 The Pasticceria Colicchia, the most famous cannoli shop in Trapani. 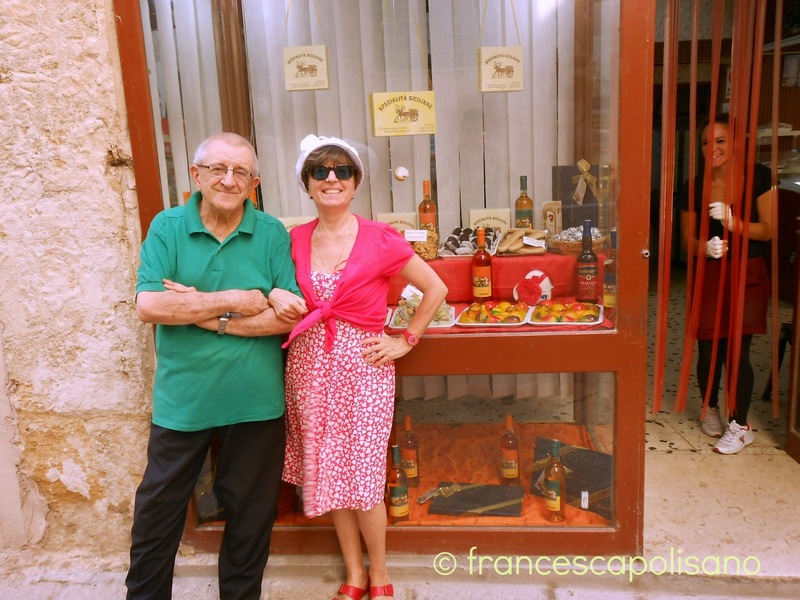 In the above photo Francesca is standing on the side of the shop with their cannolo, the other picture she is with Cavaliere Francesco Colicchia, the owner. 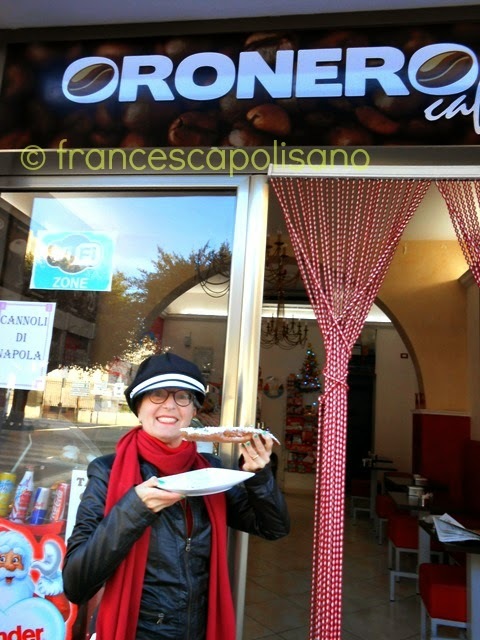 CAFE' DEL CORSO, one of the most popular cafè in Trapani's historical center, and Francesca sitting at the cafè ready to eat the cannolo. 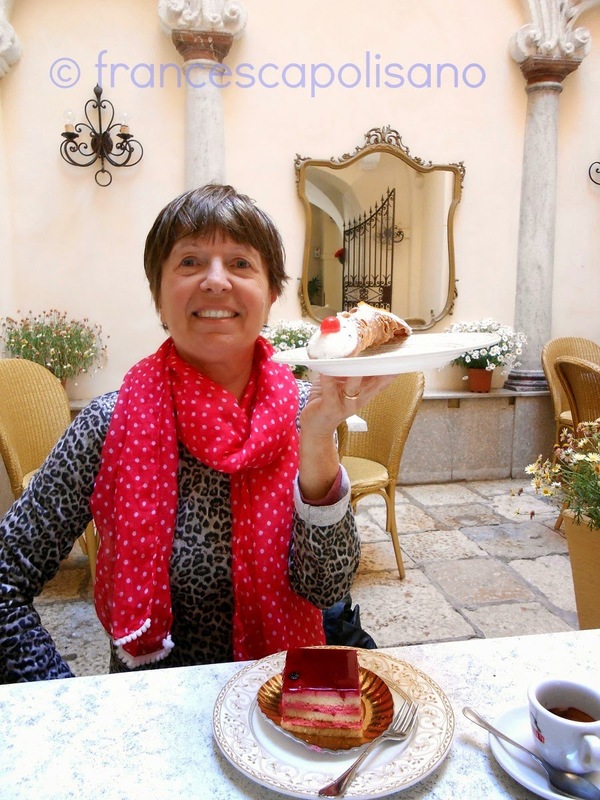 This cafe' is really gorgeous! The size of these just amazes me! That would be my dinner, for sure!! 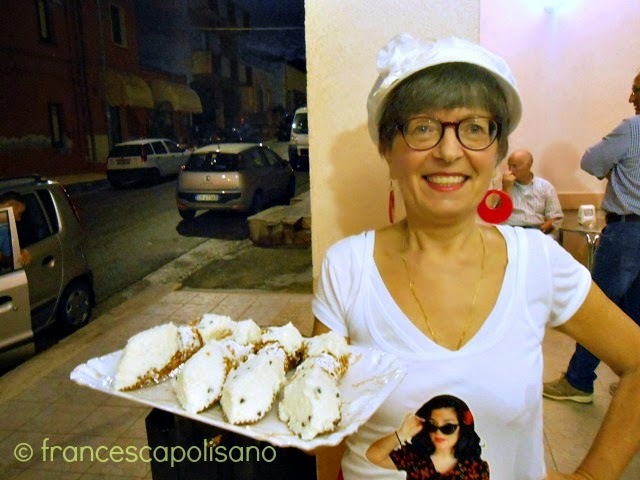 I hope you enjoyed this little visit of some "real" "authentic" cannoli from Francesca in Trapani, Sicily. 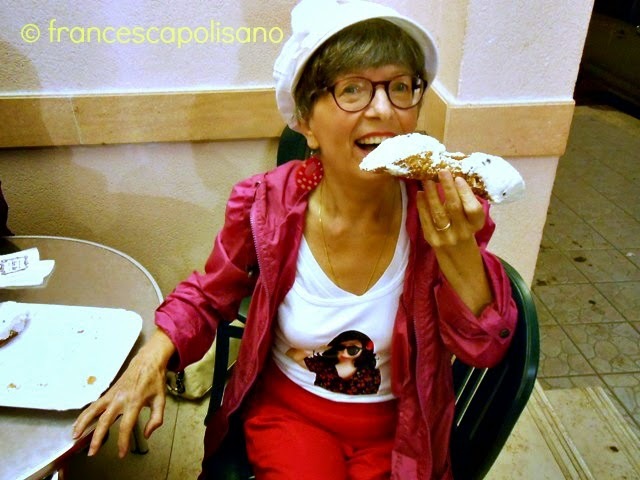 Be sure to check our her blog, Saucy Sicliana, and give her a follow on twitter HERE. 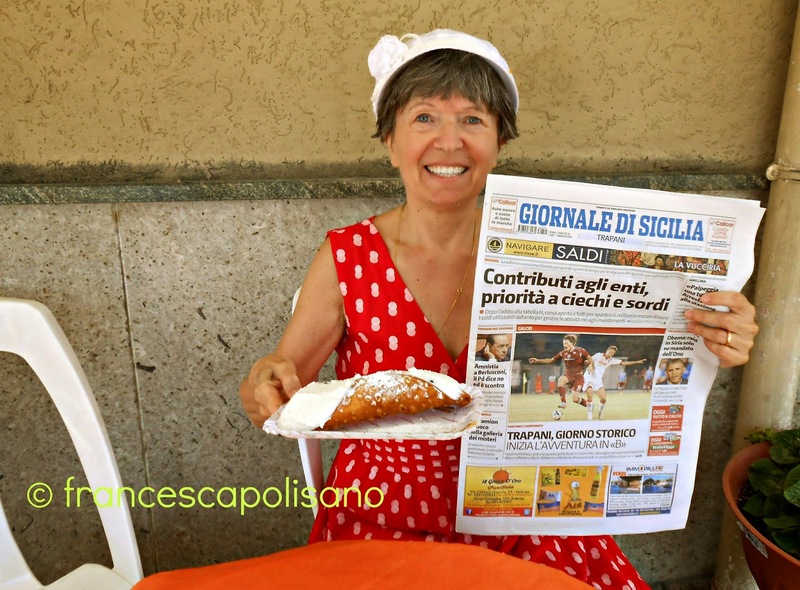 She has some great recipes on her blog as well as shows you around Trapani. If you are not currently on twitter, I say give it a try. 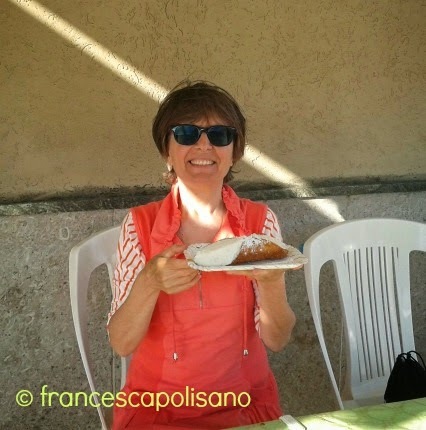 There are some fabulous people you can meet, and I would love for you to follow me as well HERE. 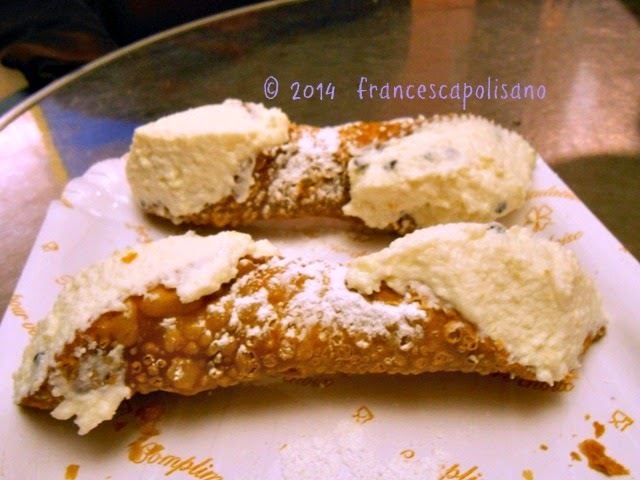 A BIG Thank you to Francesca for these amazing photos & lots of cannoli ♥ ! !